Building a website is an art where every designer tries being “Pablo Picasso” for each of them execute a different plan. But what connects them all is the common check list. 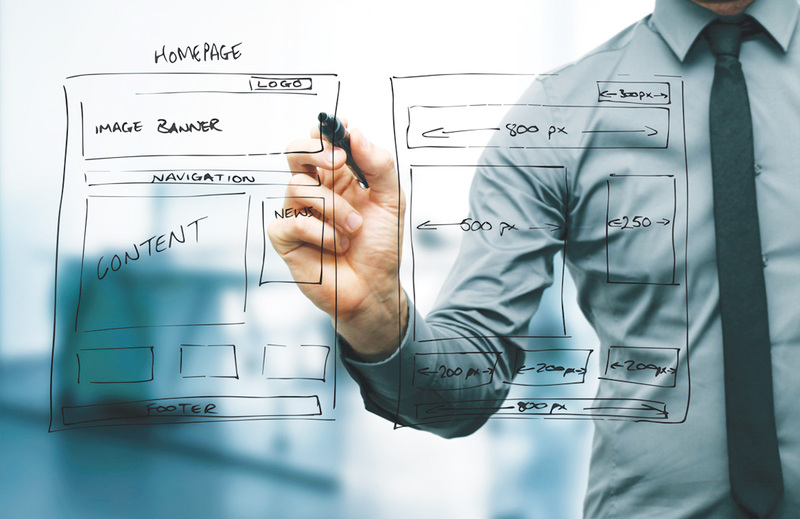 Despite being designers for years, there are certain elements every website has to have. Appealing images, plenty of whitespace, call-to-action and search functionality sum up for few components that are must for every website. On that note, this post will throw light on ten crucial elements that should be prioritized at any cost. Also, you will find the right way to use these essentials for expected results. Straightforwardly, this is among the most important design tool, as it is something that dictates everything from the flow to the readability. Space between lines in a paragraph must be same and same applies to amount of wrap around the images. Text or image with white space in the surroundings, seems larger. Not every designer knows but space is not white all the time. As it has no elements, it could be a background color or a texture too. Begin with key elements like navigation menus. Organize the elements in such a fashion that has set spacing between the elements. This makes each button or word stand for its own. This element must be easy to recognize and easy to use. Minimum navigation menus are a good approach, as doing so doesn’t overwhelm the users. According to the type of site, menu navigation items between five to ten are ideal. Navigation also has tools that help the viewers to navigate the website. When navigating is simple for them, they stay longer and interact more. Simple navigation should be used as the framework for the website build. Users and their needs such as, knowledge of where they are on the website, the way to go back and required directions, must be kept in mind. About Us page is designed to tell users what the business is and what it does. Goals and philosophies of the business are outlined in it. Besides, this page features customer testimonials, case studies and success stories. Also, this page is the gateway to other relatable pages along with social media profiles. The page should add personality to the brand. Team photos and short & crisp company biography must be presented. Mostly used in the header or as a ‘Contact Us’ page with a form, this section is not the one to be taken lightly. The page includes company’s phone number, address, or form to get in touch with the owner of the site. When the owner and their information are not listed clearly, users are irritated to the core. All the static headers and/or footers should feature contact information. If there’s a physical business address, its local details must be incorporated. The form should enable users to email directly from the website. Websites are the gateway towards an action, such as - provide information, ask information or make a sale. To let these happen, call to action is obvious and has to be strong. To begin with, it’s important to determine what the website does. Design should be done to make users take the desired action. Color, contrast and space are some techniques that take users to the right buttons. Next popular call to action is the signup form. If it’s there, it should be placed in a prime location with prominent size. Simple and quick to fill out form attracts users. Call to action should be made obvious and placement should be in an eminently visible part of the page. It should be next to the item it relates to. Contrasting colors should be used in buttons and should talk about the action. Few examples: Download, Sign Up Free, Join and Buy Now. This tool is a blessing for the repeated users. The box should be meek yet easy to use. It should have enough space to type the terms from the website. If using an icon for search, use only the standard magnifying glass. The box has to be simple and positioned at the top of the website. Most popular location is the top right corner. This basic element is all about how a business connects to the audience and holds a pool of information without hampering the design. Being located at the bottom of the page, it is a great location for business or contact information, small site map, context and links for the website. Footer should be simple and useful. No matter there are buttons or a link-style design, footer should strike with the site; however, with a minimalistic feel. Footers with all these elements are the best ones. If there isn’t any logical location in the design scheme, the above elements will serve the purpose. Be it any button on the website, it has to be recognizable. Shape, design effects and feel of all the buttons should be same, no matter what the purpose or location is. Designing defined set of buttons is a daunting task for websites that include a number of clickable items; hence, design kit should be considered. Buttons unique to the website should be designed. The color theme must be consistent. Stunning visuals capture attention and pull users. To do this, great illustrations and images work wonder. Believe it or not but a limited set of catchy photos, brilliantly presents people, products and everything that entices the users. Hire either an illustrator or a photographer to develop as well as create an impressive set of images. Why? Because custom images and not stock images deliver unique visual experience. Web fonts can’t be ignored majorly for two reasons - compatibility and licensing. Web font is important for search engine optimization (SEO) and saves designers from making images of its type. Start with free service like Google Web Fonts, as it is easy to implement beautiful and interesting typefaces in the website without spending huge capital on licensing. Also, there ain’t any need to worry about compatibility. These ten key elements are definite to make a difference and make an ordinary website successful & audience’s favorite. Want professionals who follow these rules? Our designers can do it for you. Contact Amazing7 now!